Almost 1 out of every 3 people in the United States will develop shingles, also known as zoster or herpes zoster. There are an estimated 1 million cases each year in the United States. Anyone who has had the chickenpox may develop shingles; even children can get shingles. The risk of the disease increases as a person gets older. About half of all cases occur among men and women 60 years old or older. There are many reports, however, of shingles showing up in children and in the 20 year old to 40 year old range. People who have medical conditions that keep their immune systems from working properly, such as certain cancers, including leukemia and lymphoma, and human immunodeficiency virus (HIV), and people who receive immunosuppressive drugs, such as steroids and drugs given after organ transplantation, are also at greater risk of getting shingles. People who develop shingles typically have only one episode in their lifetime. In some cases, however, a person can have a second or even a third episode. Shingles is caused by the varicella zoster virus, the same virus that causes chickenpox. After a person recovers from chickenpox, the virus stays in the body in a dormant (inactive) state. For reasons that are not fully known, the virus can reactivate years later, causing shingles. Herpes zoster is not caused by the same virus that causes genital herpes, a sexually transmitted disease. Shingles usually starts as a painful rash on one side of the face or body. The rash forms blisters that typically scab over in 7–10 days and clears up within 2–4 weeks. Before the rash develops, there is often pain, itching, or tingling in the area where the rash will develop. This may happen anywhere from 1 to 5 days before the rash appears. Most commonly, the rash occurs in a single stripe around either the left or the right side of the body. In other cases, the rash occurs on one side of the face. In rare cases (usually among people with weakened immune systems), the rash may be more widespread and look similar to a chickenpox rash. Shingles can affect the eye and cause loss of vision. Shingles cannot be passed from one person to another. However, the virus that causes shingles, the varicella zoster virus, can be spread from a person with active shingles to a person who has never had chickenpox. In such cases, the person exposed to the virus might develop chickenpox, but they would not develop shingles. The virus is spread through direct contact with fluid from the rash blisters, not through sneezing, coughing or casual contact. A person with shingles can spread the virus when the rash is in the blister-phase. A person is not infectious before blisters appear. Once the rash has developed crusts, the person is no longer contagious. Shingles is less contagious than chickenpox and the risk of a person with shingles spreading the virus is low if the rash is covered. Do not touch or scratch the rash. Wash your hands often to prevent the spread of varicella zoster virus. Until your rash has developed crusts, avoid contact with pregnant women who have never had chickenpox or the varicella vaccine; premature or low birth weight infants; and immunocompromised persons (such as persons receiving immunosuppressive medications or undergoing chemotherapy, organ transplant recipients, and people with HIV infection). The most common complication of shingles is a condition called postherpetic neuralgia (PHN). People with PHN have severe pain in the areas where they had the shingles rash, even after the rash clears up. The pain from PHN may be severe and debilitating, but it usually resolves in a few weeks or months in most patients. PHN can, however, persists for many years in some persons. As people get older, they are more likely to develop PHN, and the pain is more likely to be severe. PHN occurs rarely among people under 40 years of age but can occur in up to half (and possibly more) of untreated people who are 60 years of age and older. Shingles may lead to serious complications involving the eye. Very rarely, shingles can also lead to pneumonia, hearing problems, blindness, brain inflammation (encephalitis) or death. Several antiviral medicines—acyclovir, valacyclovir, and famciclovir—are available to treat shingles. These medicines will help shorten the length and severity of the illness. But to be effective, they must be started as soon as possible after the rash appears. Thus, people who have or think they might have shingles should call their healthcare provider as soon as possible to discuss treatment options. Analgesics (pain medicine) may help relieve the pain caused by shingles. Wet compresses, calamine lotion, and colloidal oatmeal baths may help relieve some of the itching. The only way to reduce the risk of developing shingles and the long-term pain that can follow shingles is to get vaccinated. A vaccine for shingles is licensed for persons aged 60 years and older. The shingles vaccine (Zostavax®) was recommended by the Advisory Committee on Immunization Practices (ACIP) in 2006 to reduce the risk of shingles and its associated pain in people age 60 years and older. Your risk for developing shingles increases as you age. The Shingles Prevention Study involved individuals age 60 years and older and found the shingles vaccine significantly reduced disease in this age group. The vaccine is currently recommended for persons 60 years of age and older. Even people who have had shingles can receive the vaccine to help prevent future occurrences of the disease. Shingles vaccine is available in pharmacies and doctor’s offices. Talk with your healthcare professional if you have questions about shingles vaccine. At this time, CDC does not have a recommendation for routine use of shingles vaccine in persons 50 through 59 years old. However, the vaccine is approved by FDA for people in this age group. Some people should NOT get shingles vaccine. A person who has ever had a life-threatening or severe allergic reaction to gelatin, the antibiotic neomycin, or any other component of shingles vaccine. Tell your doctor if you have any severe allergies. A person who has a weakened immune system because of HIV/AIDS or another disease that affects the immune system, treatment with drugs that affect the immune system, such as steroids, cancer treatment such as radiation or chemotherapy, cancer affecting the bone marrow or lymphatic system, such as leukemia or lymphoma. Some people who get the shingles vaccine will develop a chickenpox-like rash near the place where they were vaccinated. As a precaution, this rash should be covered until it disappears. The shingles vaccine does not contain thimerosal (a preservative containing mercury). Redness, soreness, swelling, or itching at the site of the injection (about 1 person in 3). Headache (about 1 person in 70). What about taking aspirin during a Shingles episode? We don’t know yet, but we are monitoring this closely and will keep you updated. Never give a child aspirin during a shingles episode, as shingles is a dormant chickenpox virus! 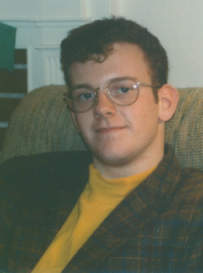 My son, Joshua, a sophomore at Hampshire College in Amherst, Massachusetts died from the complications of Reye’s Syndrome in 1994… he was 19 years old. At the time his illness began, he was a healthy six-foot college sophomore, happy with his life and the college of his dreams. He was growing into a wonderful young man and excelled in his course studies at the college he loved. He called me one snowy day to say he was not feeling well. He asked me what he should do. I advised him to go to Student Health and call me right after his appointment. The doctor said he had the flu. Based on the symptoms he described, I told him he should come home and we would see our family doctor. It seemed to me he had Mono. He came home and saw our family doctor who confirmed that he did indeed have Mono. The treatment was simple…get plenty of rest and drink lots of liquids. The problem was that as the days progressed, he continued to get sicker. We went back to see the doctor every day for several days. Then he was admitted to the hospital, discharged and admitted again. Still he was no better. He was admitted once again and this time he was critical. Our doctor either thought there was nothing to worry about or he didn’t know what he was dealing with. Josh had test after test and still there were no answers. Finally, Joshua was transferred to another hospital… the last time Joshua spoke was in the ambulance. When we arrived at the hospital we were met by a team of doctors and while taking him to intensive care they requested a signed consent form for a liver transplant. Every possible test was done, and finally the diagnosis of Reye’s Syndrome was made. Doctors put Joshua into a drug induced coma, and on life support. He continued to get worse and on March 4th, he suffered brain death. On March 5th we disconnected life support and he stopped breathing immediately. His death occurred 2 weeks after he was diagnosed with the flu and one week after being admitted to the medical center. “I strongly believe education is the best prevention. I know I was aware of not giving aspirin to children with viral infection, but I didn’t consider the over the counter medications we all take may contain aspirin. “Since Joshua’s death, the hospital has instituted a protocol for Reye’s Syndrome because they did not know what they were dealing with in Joshua’s illness. “There were a combination of issues that played a role in Joshua’s death from Reye’s Syndrome. Our trusted doctor did not take Joshua’s illness seriously, and the other doctors who treated Joshua ran tests but didn’t know what they were dealing with. When Joshua was admitted to the hospital for the last time our physician went to a medical convention out of state. He called me when he returned to ask about my son. It was too late, Joshua had died. Let Joshua’s Story be a learning experience, one that keeps our young people alive and safe from the threat of Reye’s Syndrome. So tell them Why…. tell them about Aspirin and about the products that contain aspirin (salicylates). Teach them to read the labels. Tell them about Reye’s…. they can pass the word to their friends who offer them an aspirin, alka-seltzer, or pamprin, pepto-bismol or muscle creams that contain salicylates. My 12 year old took Excedrin Extra Strength last night, which contains 250 mg per pill of Aspirin for his headache. I had told him to go lay down until I went to the store. I have never kept aspirin in my house because I know about Reye’s, but my son had seen Excedrin in my husband’s work truck. I called the nurse line and spent a half hour going through questions and then she had me call the poison control center and neither of them could tell me if one dose could cause Reye’s Syndrome. I don’t have any good reason why he had to go out to his father’s truck and take the Excedrin, after I told him the day before that he can’t take aspirin, other than he is 12 and knows everything and thinks that I lay awake at night thinking of ways to ruin his life. I looked online and I can’t find an answer. Can one dose cause Reye’s Syndome or does it have to be taken over a period of time? It is just driving me crazy. I watched him last night for RS symptoms and I was reluctant to send him to school today. Now I worry because I don’t know how long symptoms could take to surface. I was going to call my Doctor’s office, but decided to email you before I make a fool of myself worrying about something that might not have any merit. Please instruct me. One dose of aspirin or any salicylate product is enough to set off Reye’s Syndrome. The NRSF cautioned her to watch her son for symptoms, and directed her to our website at www.ReyesSyndrome.org to gather even more information. I read through the entire website and it seems so weird that no one knows what causes RS. I am using this as a learning experience for my son. 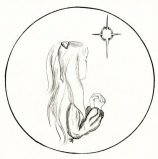 I wrote to all of my family and friends about talking to their teens about self- medicating. I know it’s been a while since I was a teen, but I remember thinking I was invincible at that age, and when I told my mother what my son had done she said, and I quote, I remember you doing the same darn thing. Difference being, I took one 80 mg children’s aspirin, not 2 Excedrin’s containing 250mg of aspirin each! In school they talk about taking drugs in programs like DARE, but how in depth do they really go when it comes to a child thinking they can just take whatever is available? I always tell my kids they need to lay down for a half hour before I give them anything for headaches, just because it might be brought on by normal everyday stress. I never medicate them when it comes to fevers unless it hits 101. I am one who thinks our children are over medicated and the Pharmaceutical industries have made it a cash crop. They come out with meds for new diseases, syndromes, and other afflictions every day. It’s insane! How many people have died from over medicating? Even with simple things like OTC pain relievers? The NRSF is happy to report that the 12 year old is doing fine, and received quite the education concerning Self-Medicating. Unfortunately, we can’t watch them all the time. They have friends who share aspirin, pamprin, muscle creams, and cosmetics containing salicylates. The best defense is to talk to them. Print off a list of ingredients from our website. Have them start talking about Reye’s with their friends. Science Projects could be developed by Teens to address salicylates and Reye’s Syndrome alerting their peers to the dangers and risks. Talk to School Nurses and Counselors, show them this article. Let them know this is a serious conversation that needs to be had with our Teens. My gosh, we managed to get them grown up this far, just to risk their lives to a pill, a cream, or a tube of lipstick, when all it might take is a visit to the Reye’s Syndrome website and a conversation…. A life and death conversation. In the deep, dark, quietest hour of Palm Sunday in 1973, a sweet, beautiful, and innocent little girl took God’s hand and stepped bravely into heaven. A year later, another little five year old fought and fought and was given a second chance. During the year between the two cases, unknown numbers of children died of a mysterious illness. Doctors were confounded. Parents grieved, and found no answers. And children died… and died. The National Reye’s Syndrome Foundation was founded in 1974 by those two sets of parents whose five year old children were victimized by Reye’s Syndrome with the bold intent of unmasking this horrible monster that terrorized helpless children. They were committed to finding answers… A reason. A reckoning…. Parents who had lost children to Reye’s, and parents whose children miraculously survived Reye’s, began to find one another and the Foundation. A grass-roots hands-across-the-country movement began to fight back and unravel this mystery and to warn other parents of the beast that stalked their children. And finally, some few years later after much study and funding of research, epidemiology research connected aspirin (salicylate), combined with a viral infection like flu or chicken pox, with triggering Reye’s Syndrome. We finally knew what to warn parents not to do; Never give a child under the age of 19 aspirin or aspirin products! Unfortunately, there is still no cure for Reye’s Syndrome. There are no tests one can do to pre-determine susceptibility for the disease. Unfortunately, we still see many parents who do not know about Reye’s Syndrome; they do not know what Reye’s really is or what the symptoms are – they were just told by their doctors not to give children aspirin. And they are not told that products like Pepto-Bismol, and Alka-Seltzer, and Pamprin and many many other prescription drugs and over the counter medicines contain aspirin (salicylates). Unfortunately, many breastfeeding moms do not know that aspirin (salicylate) is transferable in breast milk! Horror! Unfortunately, many of our tweens and teens self-medicate. We get those panicked phone calls every day at the Foundation; “My son just took aspirin for a headache! Help me – is he going to die?” Teens share their medications with their friends, unaware that it could kill their friend. For 39 years we have guarded the lives of children; through research and awareness. Until we can resolve all of those “unfortunates” listed above, we -have- to remain on mission. We -have- to continue educating. We -have- to continue our Awareness Programs. We -have- to continue to share what we know. We invite you to participate; to become a guardian angel for children – to spread education and awareness about the dangers and risk of aspirin products to our teens, tweens, new parents, and nursing mothers; in schools, in daycare centers, in church, and at work. Believe it: One word of warning does save a child’s life…. Join Us in advocating for healthy children!